After a four year hiatus, Bif Bang Pow! proudly announces a return to Mongo with a new license from King Features Syndicate to release a series of brand-new products and collectibles from the 1980 sci-fi cult-classic film Flash Gordon. Bif Bang Pow! is thrilled to return to Mongo, working on new Flash Gordon action figures and collectibles to add to its ever-expanding lineup of iconic branded products. Bif Bang Pow! 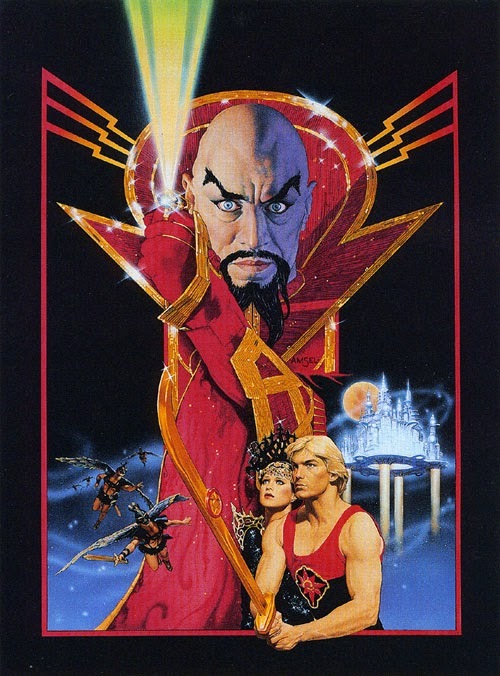 will debut the first-ever line of 3 3/4-inch movie action figures to include Flash Gordon, the dreaded Ming the Merciless, Princess Aura, Prince Barin, Dr. Zarkov, and other popular characters from the film. In addition to new "retro" scale action figures (and possibly even vehicles this go 'round! ), Bif Bang Pow! will add prop replicas, journals, tin lunch boxes, drink ware, license plate frames, and more to the Flash Gordon line of collectibles. Merchandise is scheduled to hit the marketplace throughout the term of the license.